The Earth is 4.54 billion years old. While it may be impossible to determine the exact date and time of Earth’s formation, science does allow us to calculate a pretty accurate estimation. According to most calculations, our Earth is approximately between 4.5 and 4.6 billion years old. 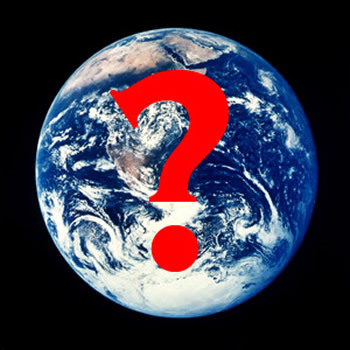 Many scientists accept the actual age of the Earth to be 4.54 billion years. The process of determining the age of the Earth is not exactly a simple one. In fact, people have been trying to calculate Earth’s age for millennia. While humans have long tried to justify the creation of the Earth through mythology, our current, accurate method of measuring the age of the Earth comes at the end of a long series of estimates made through history. One of the earlier attempts to scientifically calculate the age of the Earth was by the physicist William Thomson. In 1862, he claimed that the Earth was between 20 million and 400 million years old. His calculation was based on his assumption that Earth had formed as a completely molten object. He then calculated the amount of time it would have taken for the near-surface of the Earth to cool to its current temperature. However, he did not take into consideration the heat produced via radioactive decay, which allows more heat to escape from the interior to warm rocks near the surface. The process of radioactive decay was unknown at the time, but that is the exact process that today’s scientists used to calculate Earth’s real age. Scientists use the radiometric age dating of meteorite material, the result of which is supported by the oldest known terrestrial and lunar samples. The oldest rocks ever found on Earth are 4.0 – 4.2 billion years old. The radiometric age dating of meteorite material, on the other hand, takes into consideration the large amount of radioactive material contained within the Earth, which was throwing off previous calculations. Geologists found that radioactive materials decay into other elements at a very predictable rate, some decay fast, while some take millions or billions of years. Ernest Rutherford and Frederick Soddy of McGill University found that half of any isotope of a radioactive element decays into another isotope at a set rate. This is the concept of ‘half-life’. For example, from a set amount of Thorium-232, half of it will decay over a billion years, and then half of that amount will decay in another billion years, and so on. Keeping this in mind, geologists measured the half lives of radioactive isotopes. They then built a measurement ladder, which could be used to calculate the age of geologic formations, including the Earth. Bertram Boltwood applied this method of dating to 26 different samples of rocks. His calculations indicated that those rocks had formed between 92 and 570 million years ago. The technique was further refined, which then gave ages between 250 million to 1.3 billion years. The technique was then applied to some of the oldest rock formations on Earth. The oldest surface rock found in Canada, Australia and Africa had the ages between 2.5 to 3.8 billion years. The very oldest rock was discovered in Canada in 1999; it was estimated to be just over 4 billion years old. However, due to geologic processes like weathering and plate tectonics, the Earth could still be older. So, scientists turned to rocks from outside of Earth, i.e. meteorites. Scientists believe that everything in the Solar System formed at the same time. So, while the rocks on Earth have been affected by weathering and plate tectonics, the meteorites have not. Using the radiometric dating system on some of the pristine meteorites, such as the Canyon Diablo meteorite, the scientists have determined that the Earth is 4.54 billion years old. The margin of error on this final calculation is of about 1%.